As the cost of water continues to rise for San Diego homeowners the use of rocks in landscaping is on the increase. And it’s not a bad way to go, considering that rocks are permanent, have no care, require no water and look great when they are properly installed and thoughtfully designed. Local sources include KRC rock http://krcrock.com and Southwest Boulder http://www.southwestboulder.com along with a few other noteworthy entities like RCP Block and Brick and Alpine Block. So depending on where you are located or how far you wish to travel a trip to the rock yard is always a fun experience. Rocks for Landscaping in San Diego come in all shapes and sizes. Boulders are the largest elements, some requiring a crane to set them in place. Mid-sized boulders can typically be set into place with a crew of workers with strong backs. 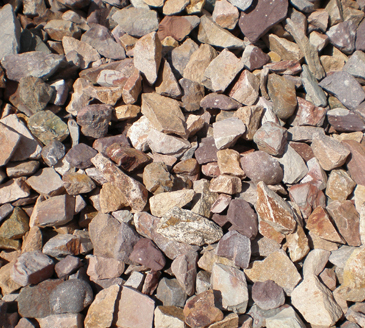 Smaller stones, cobble, gravel, etc are typically ordered in bulk and dropped via a dump truck in the street only to be carried by wheel barrow to the site for their permanent placement. Rock gardens from way back when seem to be back on the scene. 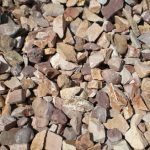 Boulders and dry creek beds are the most ubiquitous rock elements in most home landscaping today. And of course we do see the occasional low maintenance yard of all crushed gravel. Sometimes creative uses of multiple colors of gravel in patterns are an attempt at a “Zero Scape”. Pun, intended as I personally don’t like the look of these attempts to go lower water. I’ve seen situations where the multiple gravels are laid out to look like a stone showroom…we have your reds here, next to the tans, next to the white, next to the grey, etc. Rock can be used in subtle ways as I’ve outlined below. 1. Create a small section of a specific area that is “top dressed” with rock or cobble. This may be an area already divided by a walkway or next to a structure. 2. Add a more organic shaped area of a “dry creek wash”. This is a slight depression in the earth that if covered with rock. It can have a few boulders, but in most cases it is the simplicity that makes it effective. 3. Add drama with an entire “dry creek bed”. This may be a significant investment in materials. This design calls for at least two types of rock, both boulders and cobble stones. The rounded edges of cobble are more suitable as it has the appearance of a true stream bed where water has soften the edges of the stones. A dry creek bed should have both a very noticeable swale or depression as well as berms or mounds that simulate a natural setting. Often times, varied sizes of cobble can be used to add even more realism to the end result. 4. Large expanses of gravel can be done effectively with the right plant materials. Adding succulents, California Native Plants and ornamental grasses would be worthy types of plants to soften the rough edges of gravel itself. 5. Rocks can also serve a function. Consider using rock as a sitting boulder or a dry stacked wall of rock to retain a small slope. Rocks can also be a safety element to direct traffic patterns in a garden or remind vehicles of their place on a driveway or street. One more note about boulders. To properly install large boulders, a good portion of the boulder itself should be submerged in the ground. Ideally, at least one half to one third of the boulder would be hidden. Having boulders sitting on the soil’s surface, nearly ready to roll are a sign of a poor installation. There are many varieties of landscaping rocks in the San Diego area. One of the most common types found locally is granite. Other boulders, cobble and gravel are shipped in from other parts of the Southwest. Quartzite, sandstones, and limestone are other geologic sources in these rock’s formations. Finally, there is a tremendous range of color available to choose from. I often select a color based on the house color, roof tile color and the overall effect of the intended landscape. These colors can range from copper, pale grays, auburn, red, beige, tan, sage green, russet, brown, gold and pink. 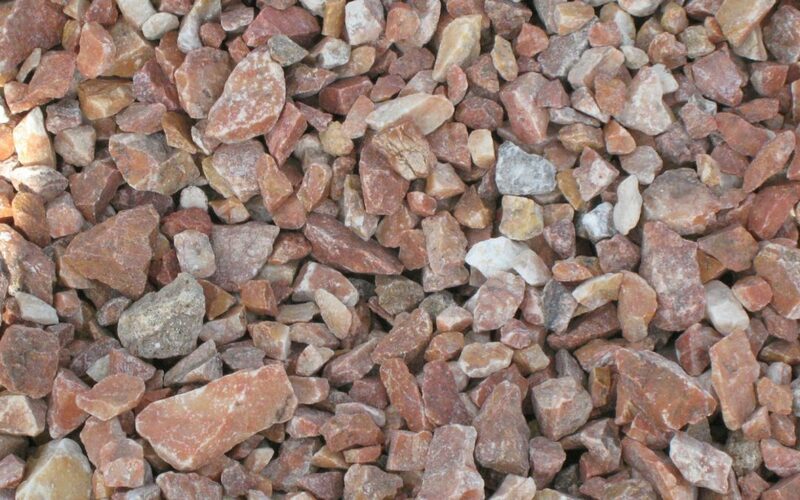 Seeing is believing when selecting larger boulders and even smaller gravel or cobble stones. Plan a trip to nearby rock yard with your designer and actually tag the showstopper pieces for your new landscape. Contact Letz Design for more information on how to artfully use rock in your landscape. Everyone likes rock, it just has to be used in the right context and amount in conjunction with other natural elements around it.